A crown fits over and replaces the entire part of a decayed tooth above the gum line. It encases the tooth and becomes the tooth's new outer surface. You will typically need two or more visits to our office to repair a tooth needing a crown. 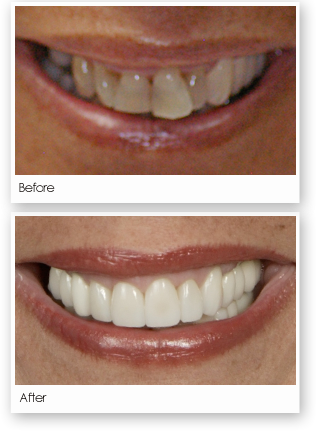 In certain cases a CEREC crown can be done in our office, usually in a single visit. In all of these cases a crown should feel and look just like a healthy tooth.